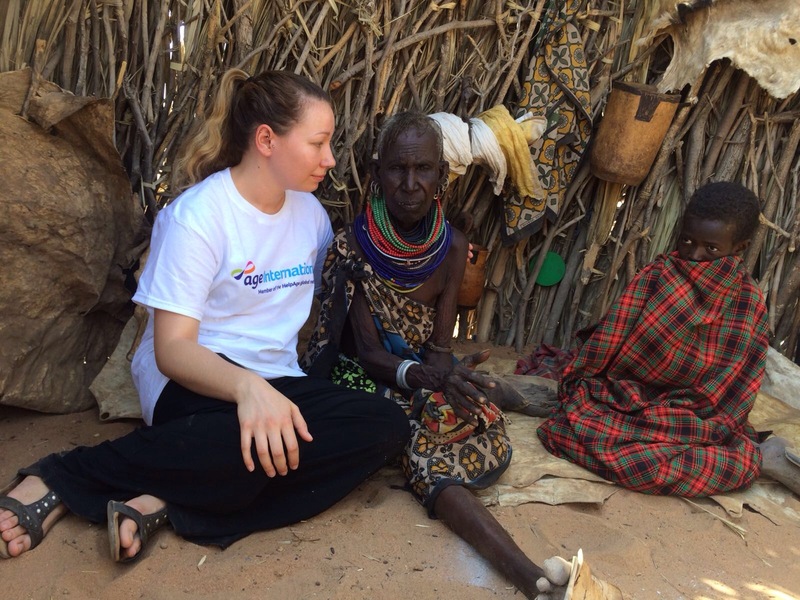 Our Communications Officer reports from Turkana, Kenya, an area experiencing the worst drought many have ever seen. Eyanane doesn’t know how old he is but thinks he is about 90. With a wife and 6 children to support, he earns a living raising goats, but drought has killed off his stock. Eyanae, and his family live in a small hut made from reeds. It’s a small haven from the 40 heat that beats down on them each day. 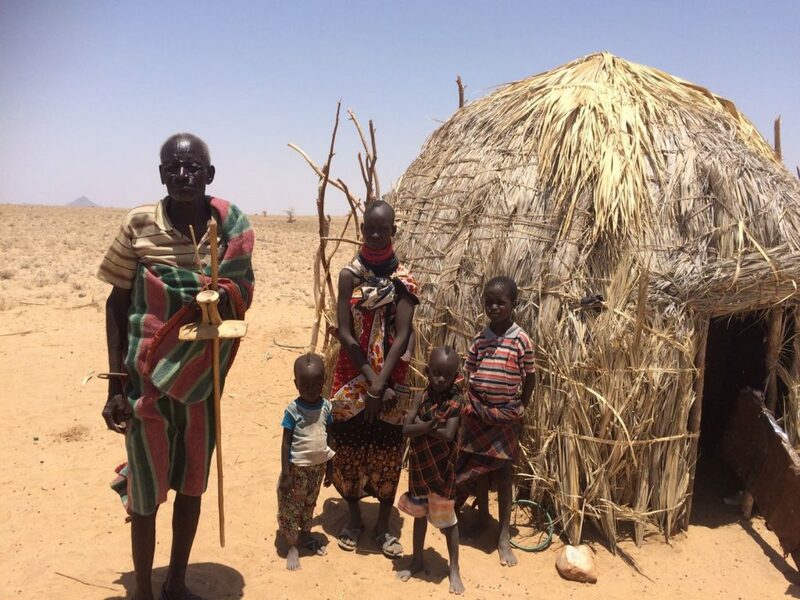 Eyanae has lost all his livestock and is now struggling to provide even one a meal a day for his family. They survive by eating wild fruits which his wife, Akiru, collects. But these fruits are poisonous. Not only does Akiru have to walk for miles to find the fruits, but she has to cook them for over 12 hours to make sure they are safe to eat. The process takes up a lot of water. Water that is in scarce supply. So, Eyanae and his family only eat once a day. ‘When we see dead animals on the ground, sometimes we eat them,’ Eyanae told me. Having seen dead goats lying in the sun, covered in flies and wasting away, I asked him if he wasn’t worried about him and his family getting ill from eating these.